The management of Sea Breeze 2016 drills announced another open day for the press. 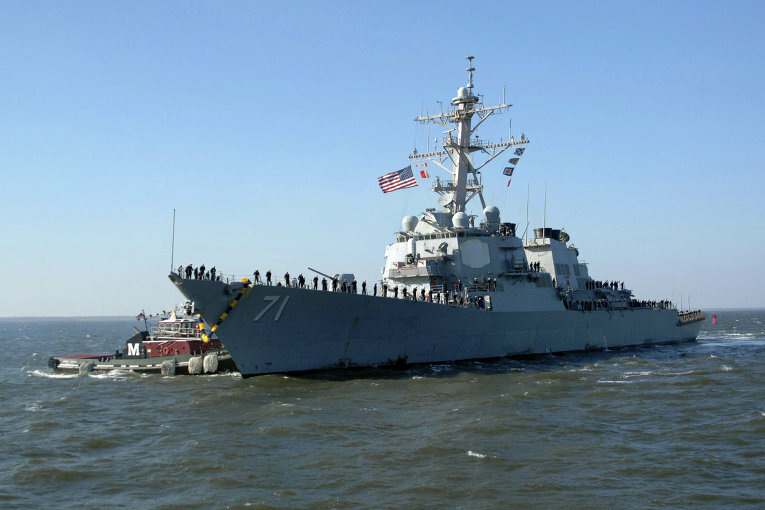 U.S. Navy ships Ross and Whidbey Island will run benchmark job in the Black Sea on Monday, July 25, a correspondent of 112 Ukraine TV channel reports. ‘The media day kicked off at 10 a.m. The State Border Guard said that Phase 1 of the naval drills is over; the maritime guard staff performed well. The exercise will be running till the end of the month, and there will be more vessels in the premises of Odesa sea port – not just American ones’, the reporter said. On July 24, USS Ross hosted a delegation of high-rank officials: Stepan Poltorak, Ukraine’s defense minister, his Moldovan counterpart Anatol Salaru and Ukraine’s Vice Prime Minister on European Integration Ivanna Klympush-Tsyntsadze.